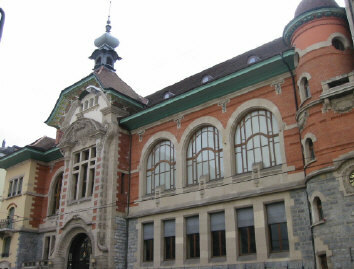 The Geneva Chess Masters Festival 2013 is set to take place on 26th – 30th June at the Pitoeff Theater, a renovated cathedral in center town, that was transformed into one of Geneva’s premier event halls with 2 floors and a 20 meter-high ceiling. There will be a number of events that will run concurrently. Besides the main tournament, there will be two opens and tournaments for players U-10, U-12 and U-14. The main attraction will be the rapid masters tournament. Eight strong GMs will battle in a very interesting format: they will be divided into two groups of four each, and play under the single-round robin format. Two players will advance to the semifinals from each group. Every match between 2 players consists of 2 games in the cadence of 25 minutes + 10 seconds; if it’s necessary a tie-break of two games in the cadence of 4 minutes + 2 seconds will be played; in case of a tie, a decisive game with 4 minutes + 2 seconds for white and 3 minutes + 2 seconds for black (with draw odds) will be necessary. The field is led by ex-world champion Vladimir Kramnik, who will try to redeem himself after his poor performance at the Tal Memorial. He will be joined by rapid chess expert Hikaru Nakamura, the best female chess player in history Judit Polgar, the strong Azerbaijani Shakhriyar Mamedyarov, former child prodigy Etienne Bacrot, ex-women’s world champion Alexandra Kosteniuk, Switzerland’s number 1 Yannick Pelletier and the strong French GM Romain Edouard. A chess extravaganza awaits in Geneva and you will find out all about it in Chessdom.